The 19-bed Nantucket Cottage Hospital, considered the state’s only rural hospital, is owned by Partners HealthCare System. Simple math errors at a tiny Massachusetts hospital have created big problems for other hospitals in the state, contributing to a potential $160 million drop in federal Medicare payments over the next year. A loss that steep — 10 percent of Medicare funding for the hardest-hit hospitals — could force layoffs of 2,000 staff, with cuts concentrated outside Boston, according to estimates by the Massachusetts Council of Community Hospitals. 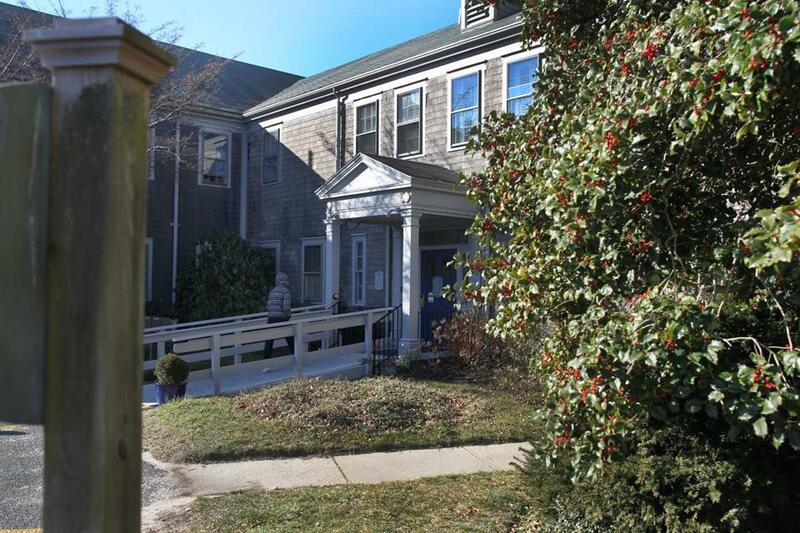 The quaint 19-bed Nantucket Cottage Hospital, owned by Partners HealthCare System and considered the state’s only rural hospital, has for years had an outsized impact on hospital finances statewide — but usually for the better. Under nearly impenetrable hospital payment rules, Medicare must reimburse a state’s urban hospitals for employee wages at least as much as it reimburses its rural hospitals. As a result, Nantucket sets the floor for wage reimbursements at hospitals across the state. And because Nantucket’s wages are high, due to its remote island location and steep cost of living, that has created bonuses for many other Massachusetts hospitals in recent years. Not this year. Consultants hired by Partners made several errors that led to lower wages being reported to Medicare for Nantucket Hospital. They overestimated hours, thereby reducing the hourly rate, and did not include enough higher-paid physician hours and overtime pay, according to an e-mail from the Massachusetts Hospital Association obtained by the Globe. Those mistakes, combined with another smaller adjustment to Nantucket’s wages, would result in a “steep and extraordinarily serious’’ decline in Medicare payments, wrote the association’s general counsel, Timothy Gens, in the e-mail. He said “the situation is further complicated by the fact that the [Medicare] deadline for corrections has passed.’’ The rates affect the next fiscal year, beginning in October. Partners, the largest hospital and physician network in the state, acknowledges it did not catch the consultants’ mistakes when it submitted the data to Medicare in September. Spokesman Rich Copp said the organization recognized a problem in mid- to late March and sent corrected numbers April 5 — almost two months after the deadline for corrections. Regardless, he said, Medicare has a responsibility to use the corrected data. “Any other course of action will hurt hospitals in every corner of the state,’’ Copp said. Hospitals have enlisted the state’s congressional delegation in their appeal. About $115 million of the $160 million reduction is due to the math errors, while the remaining $45 million is a result of separate findings made by Medicare auditors about Partners’ Nantucket submission. Partners also appealed the later findings, in that case before the deadline. Partners said it would lose $18 million, concentrated at its North Shore Medical Center. Payments to Baystate Medical Center in Springfield and Lahey Health System would fall more than $25 million and $20 million, respectively, according to industry officials who have analyzed the data. Steward Health Care System would see a $10 million reduction. If hospitals are not successful in having the errors corrected this year, Medicare sets the wage adjustment annually and would have accurate data next year. Copp declined to answer questions about how many people reviewed the erroneous data before it was submitted, why it took so long to correct, and whether Partners is taking action against the consultants. Steven Walsh, a former state representative and executive director of the community hospital group, said Medicare has “broad discretion to correct the error. It would be really unfortunate and unacceptable to risk losing millions of dollars and thousands of jobs over a math error,’’ he said. Walsh said his organization’s analysis shows that of a possible 2,000 to 2,100 layoffs, 1,800 would occur in community hospitals. The Massachusetts Hospital Association believes “there would be significant job losses from a reimbursement cut of this magnitude but we do not have an estimate of these,’’ Gens said in an e-mail to the Globe. Medicare officials would not comment except to say that they are considering Partners’ appeal. Several years ago, Nantucket Cottage Hospital became a national symbol of inequity and political maneuvering in the way the federal government reimburses hospitals for treating Medicare patients. Because the Medicare reimbursement for wages comes from a national pool of money instead of a each state’s allocation, Massachusetts’ windfall means hospitals in other states suffer. A coalition of 21 states pressed to reverse the windfall, calling it the “Bay State boondoggle.’’ Capuano and the rest of the Massachusetts delegation defended the measure as a correction to previous rule changes that hurt the state’s hospitals. The coalition was unsuccessful, he said. But the wage bonus for Massachusetts hospitals has shrunk anyway — it was once between $257 million and $367 million annually — as the gap between Nantucket’s wages and those at other Massachusetts hospitals has lessened.